You have a birthday party for your child, buy them a birthday cake, wish them happy birthday, and make sure that they enjoy a special day… and, of course, they deserve it. But what about the often forgotten member of your family: Your four-legged friend, the dog? Have you ever thought about throwing a doggie birthday party? When your dog celebrates their birthday, it deserves something special like a dog theme birthday party. After all, every dog has its day, right? 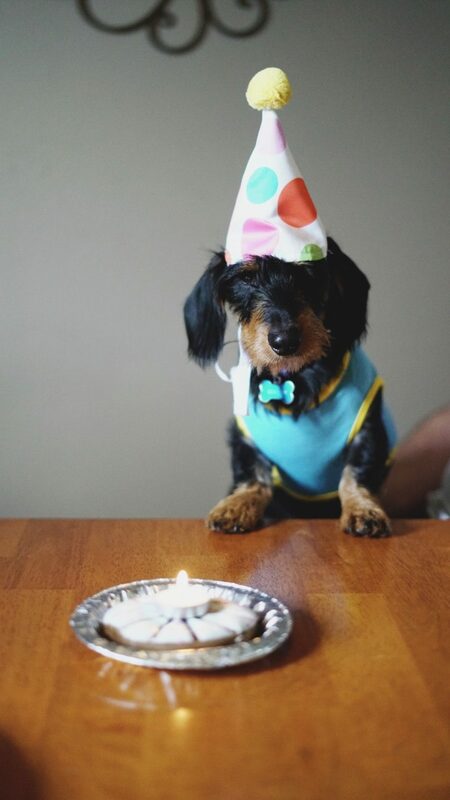 Even if you think a dog birthday party is a little much, as a dog lover you have to admit that at the very least your furry friend deserves something special like a homemade dog cake or a dog biscuit gift basket to enjoy their special day. Your four-legged friend usually has to make due with simple dog food day in and day out. 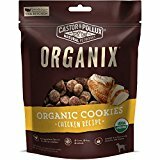 Therefore, homemade dog treats, great gourmet treats, and dog treat recipes are made with appealing flavors and textures that are easy for your dog to enjoy. These often come with great scents that are appealing and scrumptious for your dog to adore. A great treat will be a good reward for your dog for another year of good behavior. But that doesn’t mean you should give your dog just any treat. The problem with so many dog birthday treats is that they are made with loads of unusual ingredients. These include a variety of potentially dangerous artificial colors and fillers. Some animal byproducts, particularly skin parts and organs, may also be included in these foods. You have to watch out when giving your dog treats. There are a few standards that must be met. You must be cautious when getting something for your dog. You have to watch out as some foods might be dangerous. For instance, as appealing as the popular Beggin’ Strips brand sounds for your dog treat needs, this is a product that contains corn gluten meal, ground wheat, sugar and, as the ingredient label says, “meat.” Simply put, you have to avoid anything that might contain such risky ingredients. Always check what the label says first. Whatever it is you are giving your dog, you must watch for the caloric content. The dog treats should only make up as much as 10% of whatever calories your dog consumes in a day. This will help prevent your dog from having too many calories. Don’t give your dog anything that is too hard. Anything that is rough and difficult can actually harm your dog’s teeth. This is especially because something deceptively small that is very hard in texture could do more to hurt your dog’s teeth. 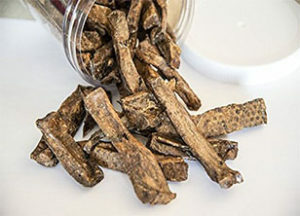 Rawhide is appropriate as a treat in that it is large in size but as your dog bites on it, the material becomes soft. This can offer something appealing and will give your dog’s teeth a healthy exercise. Still, you should monitor your dog when they eat rawhide. Make sure it doesn’t break off into small bits as they could potentially be a choking hazard. If anything, you should monitor your dog when you give it rawhide so you can ensure your dog won’t be in trouble when playing with it. Don’t give your dog far too many treats at a time. It is one thing to give your dog something delicious every once in a while. But if you give your dog a treat far too many times, your dog will start to keep demanding it and begging for it. You have to pace yourself and avoid giving too many treats to your dog far too often or else your dog might develop a bad habit of asking for too much. Various healthy vegetables that are easier for your dog to digest can make for good treats. Baby carrots or small broccoli bits might be worthwhile, for instance. Just be certain that you avoid anything that might be dangerous to your dog like grapes, raisins, chocolate, or other commonplace threats that can harm your dog’s body. There are many different dog birthday treats that you can order right now. These are made with healthy ingredients and are safe to offer to your dog on a special occasion. One point to note about all of these is that they are made with no grains. Waveland Paws Meaty Sticks are an all natural product made in the US from 100% organic beef. These baked treats are gluten and grain free (no wheat, corn or soy). Farm-raised, grass fed beef is smoked and slow roasted to create a moist and delicious flavor that your dog will enjoy. Vegetables from the farm add to the nutritional value of these very tasty treats. Produced without fillers or artificial additives, these meaty sticks will provide a perfect snack for your dog. Made with a texture that dogs love, they are easy to break into pieces which helps you with portion control. 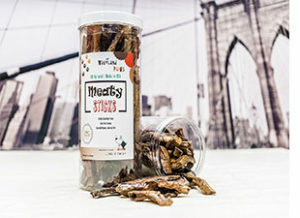 Created for your dog in the heart of the Midwest, Waveland Paws Meaty Sticks are a special treat that you’ll love to give to that special “Fido” in your family. Riley’s Organics Peanut Butter and Molasses dog treats are shaped into crunchy little bones that will be a favorite with your dog. There made from the following USDA Certified Organic ingredients: peanut butter, oat flour, oats, rye flour, peanut flour and molasses. This product contains only Non-GMO, Certified Vegan, Human Grade ingredients and has no wheat, soy or corn. Riley’s Organics dog treats are made in the USA. Organix Chicken-Flavored Dog Cookies are unique for offering unique shapes. These are made with organic free-range chicken and are easy to break down. They are crunchy and provide a healthy texture that your dog will enjoy. Each of these cookies contains about eight calories on average, thus making it easier to incorporate into your dog’s diet. Wet Noses All Natural Dog Treats Peanut Butter with Bananas features a fully organic design with a series of small discs that contain natural flavors. These are mixed with no dangerous soy or wheat products. Organic rye flour and eggs are used alongside ground peanuts and canola oil to create a full body. 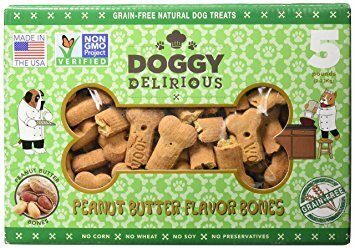 Doggy Delirious Peanut Butter Bones are made with no corn, soy, or wheat ingredients. These are made with ground peas and are easy for your dog to process and consume. It’s always worthwhile for you to look at these and other products but whatever you do, make sure the foods you look for are healthy and easy for your dog to enjoy. This is simply because you need to avoid dangerous artificial compounds. When they hear you breaking off some of that crunchy skin, they’ll come running. It won’t take them long to smell that odor wafting from the container that drives them wild. 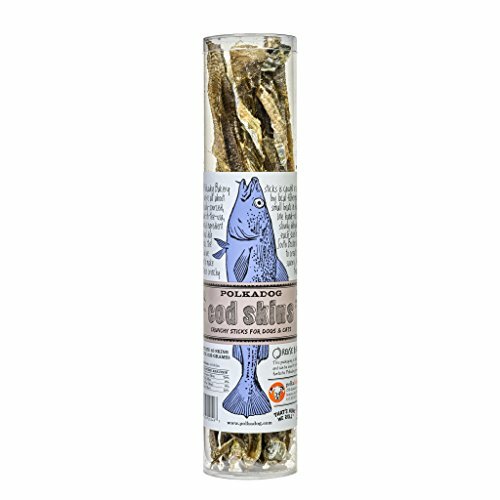 Made from cod caught in the waters of Alaska, the skin is slowly dehydrated to create a sensational treat. Each skin is rolled by hand and comes from the good people of South Boston, Massachusetts. Add a piece to the food bowl for a surprise at meal time, give as a treat or use with training. It’s hard to beat this nutritious and enjoyable snack for your dog. The last point to see for dog birthday treats is to watch for how much you are going to give to your dog. Naturally, a larger dog can always consume more of these treats at a given time. Still, you should check on whatever the packaging on your treats says. Only give your dog an appropriate amount of treats at a time so your dog will enjoy a good food without overdoing it. Remember when finding dog birthday treats that you are careful when getting them ready. Your dog will certainly enjoy great treats but you should still be cautious when offering them to your dog.